The Dr. L.C. Carter Foundation is a nonprofit corporation established April 26, 2017, by a group of individuals dedicated to continuing the legacy of a great man. Dr. Carter was born and raised in Fort Worth, TX but moved to Los Angeles, CA to pursue his dreams. After 40 years in Los Angeles, CA he moved with his family to Houston, TX. He was a beloved Pastor, Husband, Father, Grandfather, Brother, Friend, Mentor, and Counselor. He passed away May 31, 2013. As the President of the foundation, and widow of Dr. L.C. Carter, I am proud to introduce The Dr. L.C. Carter Foundation. The purpose of the foundation is to distribute funds for public charitable purposes, principally for support, encouragement, and assistance in education, arts and culture, and community service. The specific objectives include, providing funding to further education through individual scholarships, sponsorships, and strategic partnerships. The Dr. L.C. Carter Foundation plans to provide funding to other nonprofits that provide assistance through basic services that improve the standard of living for families globally. Dr. Carter was a community activist, fighting for rights of all people, especially the most vulnerable segments of the population, children and the elderly. He personally collected clothes, shoes, toys, and much needed resources for needy children and adults all year long, aiming to improve their quality of life. How can you help? I encourage you to think about the lives that will be changed as a result of the foundation’s programs designed to make a difference. You can help us by considering making a future investment in this foundation. If you would like to receive more information, please do not hesitate to contact us and be a part of "Good Deeds, Going Further". L.C. Carter was born June 20, 1931 in Fort Worth, Texas to the late Pat Earl and Ruby Lee Carter. He grew up in the Fort Worth Public School System and attended the family church Trinity Missionary Baptist Church, now known as Paradise Missionary Baptist Church. In 1948, he graduated from I.M. Terrell High School. From there he attended Prairie View Agricultural and Mechanical University but left to relocated to Los Angeles, CA where he pursued a full-time music career. L.C. sang with well known Rhythm & Blues Trio known as “The Click-Clacks”. While on his music voyage, he worked closely with singers such as Ray Charles, Johnny Otis, Sam Cook, Nat King-Cole, and many others. With the civil rights movement and injustices experienced in the inner city of Los Angeles, he begin his journey as an activist. On August 8, 1974, formed Save the Children, Inc, a nonprofit organization dedicated to the development of academic achievement and social awareness of young people in South Central Los Angeles. Through Save the Children, Inc., L.C. now known as Louis brought his musical background to the inner city organizing an exclusive 350-voice choir of children and youth from the Los Angeles community. The organization also provided tutorial, martial arts, athletic, and employment programs accessible to children and youth all year long. That same year in October, Louis accepted his call to the gospel and was ordained as a licensed minister. Rev. Louis Carter continued his community work as well as his entrepreneurial purists. Rev. Carter pursued career paths in the food industry, motel/hotel management, and janitorial services. He even returned to school to receive his motel/hotel management certification. He even joined his best friend, James E. Abernathy as Executive Vice President of Ashley-Grigsby Mortuary. Rev. Carter’s greatest career aspiration would be achieved in 1979 when he was appointed Senior Pastor of First Antioch Missionary Baptist Church in South Central Los Angeles. Pastor Carter was known for his stirring, mind-boggling, thought provoking, life challenging, and energetic messages that could literally send a church into an excited spirit filled frenzy. He received his Doctorate of Divinity in Letters and Religion from St. Stephens Educational Biblical College in 1993. His efforts through church and community programs expanded from his vision with Save the Children to include drill teams, athletic teams, feeding the homeless, opening the first bath house in Los Angeles, and taking inner city children and youth to experience amusement parks, vacations, abroad, and education initiatives. He retired and relocated from Los Angeles to Houston, Texas in April, 1995 and united with the Windsor Village United Methodist Church under the leadership of Pastor Kirbyjon H. Caldwell. There, he served on the ministerial staff where he assigned to administer The Lord's Supper to the youth church. He also was a part of the Coaching Staff where provided marriage and family counseling. Finally, Dr. Carter served on the Comfort and Care Ministry where he comforted bereaved families through preaching eulogies and providing grief counseling. He leaves to cherish his fond memories: His loving and devoted wife of 32 years, Olivia F. Carter; 6 daughters; 3 sons; 3 step-daughters; a many grandchildren, great-grandchildren, nieces, nephews, cousins, extended families, and friends nationally and internationally. Olivia F. Carter is the widow and founder of Dr. L.C. Carter Foundation. With over 35 years of experience, Mrs. Carter brings extensive knowledge and experience in Government Contract Administration and Management. Previously Mrs. Carter was the Systems Administrative Contracting Officer for the Defense Contract Management Agency (DCMA) where she administered contracts to companies like KBR, Serco, Inc., and IAP Worldwide Services. She currently serves as Chief Contracting Officer advising and guiding government contractors through effective performance of contracts at AFC Power Strategy Group, Inc. Mrs. Carter holds a Bachelor of Business Administration from the University of Southern California, with an emphasis in Management. She is also has a Certified Acquisition Professional, Level III Contracts certification from the Defense Acquisition University and currently maintains an active Secret Security Clearance. She is an active National Contract Management Agency member and Space Center Small Business Council member. She also volunteers at local charities and mentors youth within the Houston community. Mrs. Carter is passionate about preserving her late husband’s legacy of service to the world through the various activities of advancing educational opportunities, promoting arts and culture, and empowering the community at large. Angela F. Carter is the youngest child of the late Dr. L.C. Carter. She brings experience in strategy, branding, leadership, financial analysis, and corporate training to the Dr. L.C. Carter Foundation from her diverse industry background. 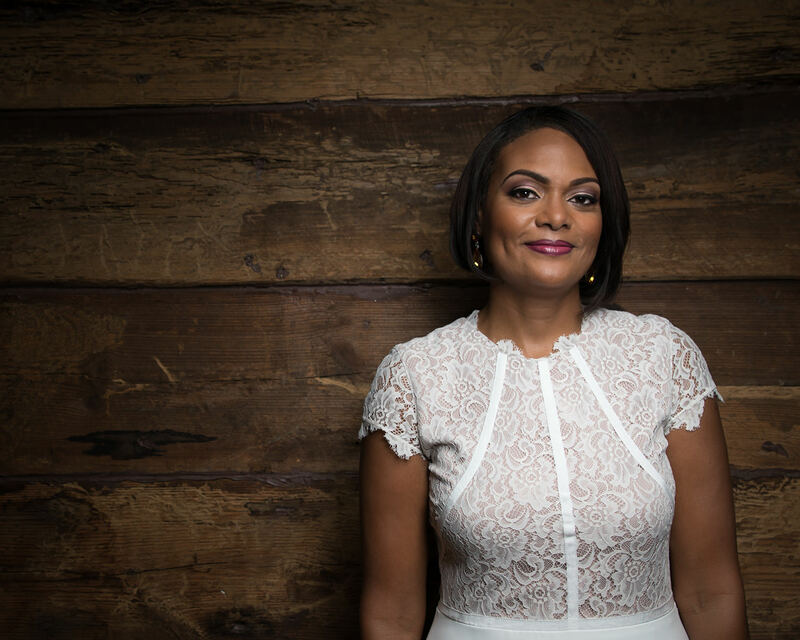 She held leadership roles at companies such as SVS Solutions LLC, the City of Houston, and Service Corporation International. Ms. Carter stands as President & CEO of AFC Power Strategy Group, Inc. successfully solving challenging projects in educational, nonprofit, governmental, and corporate environments. Ms. Carter is completing a Doctor of Business Administration and holds a MBA in Finance and BBA in Management. 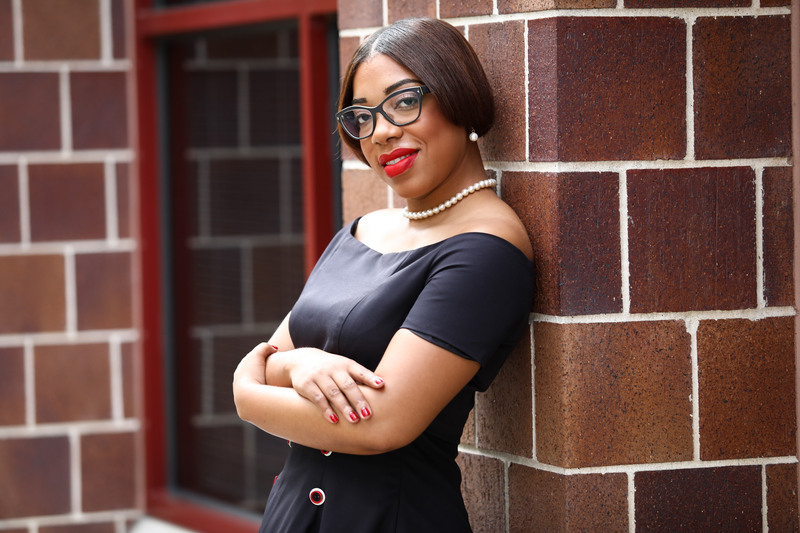 She serves as a mentor for youth as a part of her membership with the National Black MBA Association – Leaders of Tomorrow program and partners with local at-need schools to provide students career and leadership guidance. She also supports, serves, and volunteers at local charities such as Kids Meals, Cheers 4 Charities, and Organization of Black Aerospace Professionals. Ms. Carter continues making an impact through leadership and mentoring of business students and professionals nationally. Her shared passion with her father is to eliminate barriers and provide resources to those desiring education at every level in pursuit of their dream and sowing of legacy. Robert L. Session, II brings a diverse background of technology, science, and law to the Dr. L. C. Carter Foundation. He received a Bachelor of Science in Radiological Health Engineering from Texas A&M University and began his journey at M. D. Anderson Cancer Center in the Medical Physics Department. Mr. Session was instrumental in developing new inventive techniques for testing and maintaining Linear Accelerators and On-Board Imaging critical in targeting tumors during cancer treatments, which techniques are still being used today. Soon after, Mr. Session decided to pursue his childhood dream of becoming an attorney. While attending Thurgood Marshall School of Law, he was one of four students who worked to reinstitute the Intellectual Property Law Society. In his law career, he had served in Spectra Energy’s General Counsel’s Office and contributed to building Spectra’s intellectual property portfolio. He also served as Counsel with Jennings Law Group before branching out to his private firm. Mr. Session is currently the Managing Partner of The Session Law Group, specializing in patent and trademark prosecution as well as business startups and development. Mr. Session serves as General Counsel to several businesses and nonprofit organizations, including the Talafery Media Group and One Source International, LLC. He was named Chair for the Electronic and Computer Law Committee for the Intellectual Property Law Section of the State Bar of Texas. He continues to serve the community through local charities and professional associations. As the son of a minister and school administrator, Mr. Session looks to follow his father’s legacy, similar to Dr. Carter, through his shared passion for creating opportunities for youth and young adults in innovation, entrepreneurship, and technology. Andrea M. Mosley was born with a passion for families. Growing up in a healthy single parent home, early on she understood a nurturing foundation produces healthy citizens, which improve our communities and change the world. After years of listening to intimate stories while working in oil and gas industry, Ms. Mosley decided to pursue her vocation and enrolled in a Masters of Psychology program. Upon graduating, Ms. Mosley pursued licensure as a professional counselor and a marriage and family therapist. 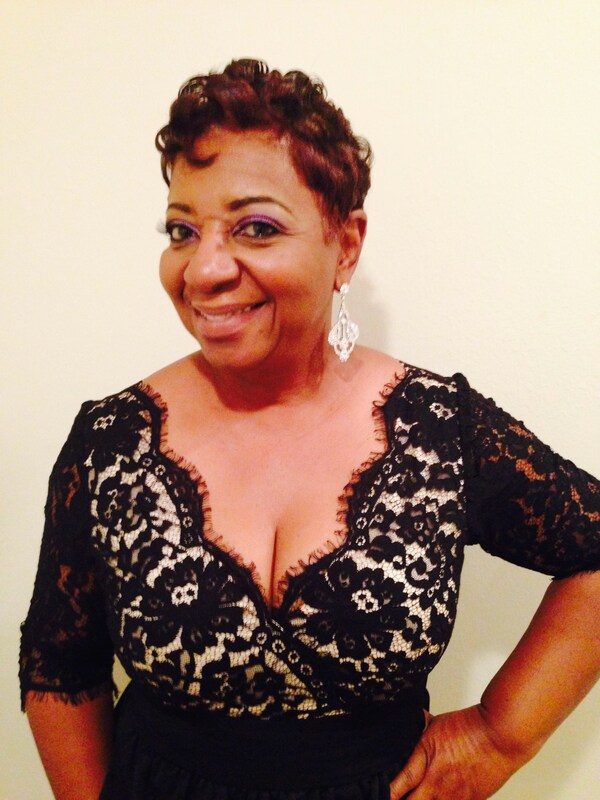 Ms. Mosley currently works for a Managed Care Organization as a Business Change Manager – Behavioral Health Operations. She is also a Clinical Subject Matter Expert for Implementations and Project Management. Whether working for the needs of a member or counseling an individual, Ms. Mosley believes we are the experts holding the answers we are seeking. Her understanding of human behavior aligns with Dr. Carter’s mission of promoting mental health, wellness, and respect for our uniqueness.